Rent you property without trouble. We will find your perfect tenant. grundwerk has a suitable offer for every owner. Whether you want to do the tours yourself, or simply hand over the keys and know from then on the rental in good hands. We will get to know you and your expectations of the desired tenant better and record the details of your property. We find the suitable applicants, examine them in detail and schedule viewings. You determine your tenant and we prepare all documents. On request, we take over the following rental management for you. We offer a professional rental service and ensure safe and profitable rental income. We look for the best tenants for you and guarantee in the subsequent rental management a healthy tenancy. We aim to make the rental agreement between tenant and owner as pleasant as possible. Trust is important to us. Renting with grundwerk guarantees you a predictable rental yield and a relaxed relationship with the tenants. We are always ready to solve the problems of the tenants. For each property we create a professional exposé. Through our network, we receive up to 80% more applications. grundwerk examines all applicants in detail and selects the appropriate tenants after careful examination. 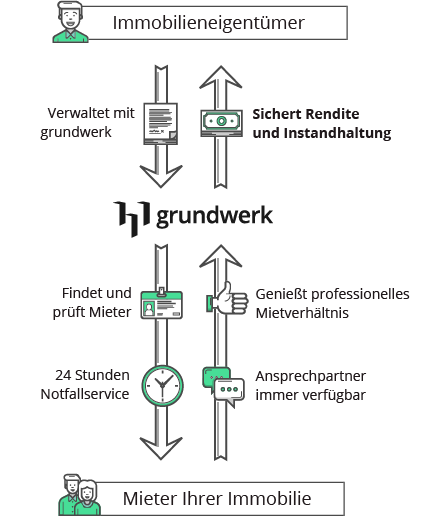 Tenants benefit from grundwerk as a contact partner around the clock, stable guarantors and the benefits of the grundwerk community. Do not spend too much time looking for new tenants and start as early as possible to avoid vacancies. You have from the termination of the tenants usually after contract 3 months notice. Use the contractual deadlines to find new tenants. Often you support your current tenants with the tenant search, if a premature termination of the contract is in the offing. When using the current tenants, make sure that the property is in good condition and orderly. Otherwise, it acts quickly deterring to those interested. When you close a new one directly to the expiring tenant agreement, take the time to get an accurate real estate approval and delivery history. Frequently, defects and damage are discovered later by the new tenant and bring additional effort and work. You will receive templates and tips on transfer protocols directly from us. Whether you’re looking for the newspaper or online portals, try to pin down the key features of the property, but avoid too many shortcuts. Consider the wishes of your target group. What is your dream tenant looking for? Highlight these features in your property description. In addition to the location, the size and other facts, there are important decision criteria for potential buyers. In what condition is the property and is there, for example, an advantageous floor plan? Are day-care centers and schools close by, as well as practical conditions such as pushchair basement and stowage space to promote families? Are there other unusual features, such as a fitted kitchen, a great balcony, a unique view, etc.? Is the property well connected, as well as the existing furnishings, which arouse the interest of young people during the training? Or are nearby doctor’s offices and a caretaker on site, which can be crucial for the elderly? You want to find the right tenant. Where do you advertise the best? Below we have put together tips on suitable “marketplaces”. Learn what you are doing with which medium. Addressees are mixed, selection by landlord. not serious requests cost time. In addition, notice period is hardly controllable. This reduces the number of viewing appointments. What does the broker offer the landlord? The real estate broker is a professional who deals full time with the mediation of apartments and houses. has access to check candidates. Although the commissioning of a broker for the housing agency involves additional costs for landlords with the introduction of the ordering principle, it offers great time savings and security. As a landlord, you can assume that the broker will make the right preselection of possible tenants with specialist know-how and experience. Vacancies cost landlords money. Often, rental income is used to finance real estate. Therefore, landlords want to find (new) tenants in no time. Whether the chemistry is right between the parties, both often learn late: over the following months and years. You should beware of dying riders. Tenants who are always looking for a reason for rent reductions, jeopardize the rental income. Likewise, housing communities are breaking up incompatible characters, leaving loyal tenants out in the field. Even more catastrophic are rent fraudsters and cheats. They use the legal situation to “rent in” for months free of charge. Not always do they do this right at the beginning of the tenancy and not always intentionally. But the financial losses are immense and quickly reach five-figure amounts. Often they exceed the rental income. For rent nomads often tend to neglect and devastation of real estate. Has the applicant completed a questionnaire on his private circumstances (marital status, occupation, private address)? Are there salary / income proofs from the last three months? Is there a copy of the identity card and did you check the accuracy of the registration data? Does the renter agree to review his creditworthiness? 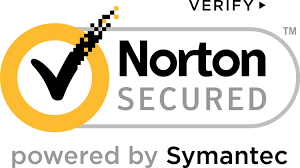 Have you obtained any Schufa information or similar consumer information (like infoscore Consumer Data)? Does the applicant certify the satisfaction of his previous landlord (certificate of leasing freedom)? Does the prospective tenant have an existing liability insurance? Possibly: Do online tenant databases supply other entries to your applicant?